We are taking a slight detour on the BWB Budget Beer Tour this week to bring you an all new malt beverage of the week! Coming to you from the Steel Reserve Alloy Series is the brand new Steel Reserve Spiked Watermelon! 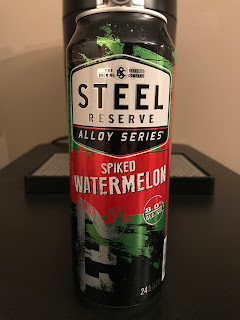 We have covered quite a few varieties of the Steel Reserve Alloy Series in the past, and I was happy to get my hands on a can of their newest installment. Over the past few weeks I had seen it being posted online and was looking forward to giving it a try. Spiked watermelon does sound interesting, yet it could also turn out to be a bad choice. 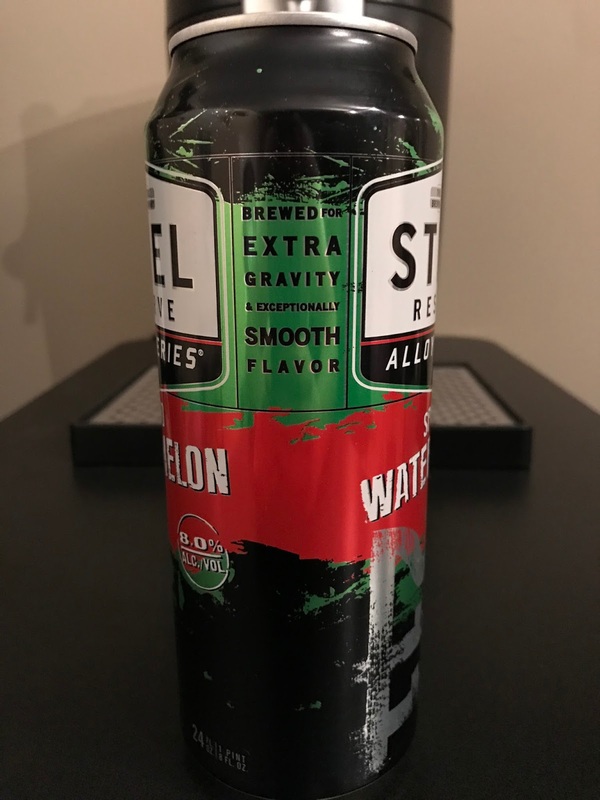 I remember drinking the Four Loko watermelon in the past and gave it mixed reviews, so I was expecting something similar with this one. I have to say that after the first sip I was very happy with the taste and found it to be quite enjoyable. A great blend of watermelon and alcohol is always a wining combination. Picnic in a can? What better way to spend the upcoming spring and summer months and take the Steel Reserve Alloy Series to the next level! Let's make it happen MillerCoors! Pick up a can of Steel Reserve Spiked Watermelon and enjoy the BWB Malt Beverage Of The Week! Still trying to find a way to occupy your weekends without football? Don't forget to check out all the new bWb Merchandise and order your BWB shirts directly from What A Maneuver while enjoying an all new edition of Bumming with Bobcat! Cheers! That Matt-Man dude seems quite articulate and is the owner of a palate with a discerning taste!! Cheers Bobcat! !